The Matrix showed us that even if humanity is forced underground by a cataclysmic machine war, we'll still have awesome raves. Humans will thrive wherever they are, and in fact, there are a number of people right now who live underground in some of the harshest conditions imaginable. By and large these aren't vacation condos or fun places to be, but sometimes you gotta do what you gotta do. You can find mentions of the Romanian city of Bucharest dating back to the 1400s. It has more history than a Bill and Ted oral report. These days, if you know where to go, you can find an absolutely gut-wrenching world beneath Bucharest, full of people who Romanian society forgot. Led by a dude who goes by the name "Bruce Lee" on account of his penchant for street fighting, there's a massive crew of hundreds of young adults and children in a series of super hot, cramped tunnels -- and not "super hot" in the awesome way. Bruce Lee keeps everyone supplied with drugs, and the population is rife with HIV and tuberculosis. The kids living under Bucharest are the victims of the changing tides of government. When Communism came to an end in 1989, Romania's government-operated orphanages (which were nightmare facilities of abuse and neglect) were closed, and all the kids were tossed out onto the streets. They congregated together and formed this new society of lawlessness and drug abuse. Even the Ninja Turtles would pass on this one. When a film crew was invited down to their world, not a person among them tried to hide the drug use, whether it be injecting heroin or just huffing paint from bags. The tunnels in which they live are stifling, relics of a Communist plan to centrally heat the city. Now the kids are having their own kids and living in a communal world not devoid of as many of the amenities as you'd think -- Bruce Lee provides electricity, food, drugs and even pets. It's not an ideal life by any means, but stories of the orphanages from which they came make it seem like maybe it really is a better alternative. About 25 feet below the Vegas strip are a series of flood tunnels. Being a bit of an unnatural oasis in the desert, you need that kind of security measure, because if it ever does rain too much, you're going to be knee deep in it. But flooding is rare, and that means all that space is pretty inviting for a homeless population or gambling-addicted vampires. Homeless populations are a little different in Vegas. Of course there are a lot of people with mental health issues and substance abuse problems, but Vegas being Vegas, there's also a tragic contingent of problem gamblers. 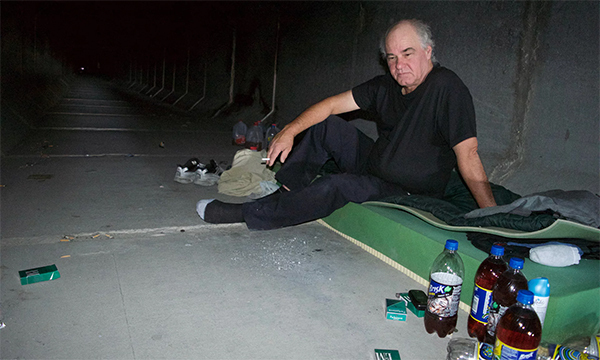 Being homeless in Vegas is like being homeless nowhere else -- there's money to be made from people simply dropping cash, to big winners sharing their wealth, to people walking away from machines and leaving credits on them. Being able to live right under the strip is what some people want. Pooping in a room with a door is overrated anyway. Given, he and most of the other tunnel dwellers are not living in a state of perpetual partying and bliss. The people outlined in the linked article clearly have mental health issues that result in gambling and/or drug addictions. Some of them talked about how they would luck out in a casino and be up by $600, only to blow through the entire wad by the end of the night. Life as an Australian opal miner can't be easy. You're mixing mining, which is fairly dangerous, with Australia, which hates human life. It's hardly surprising then that the people of Coober Pedy had to come up with a novel plan to keep things going in a town where temperatures reach over 110 degrees and shade isn't actually a thing that exists. Coober Pedy is where 70% of the world's opal comes from. Like most large mining operations, towns tend to spring up around them, regardless of whether or not the place is hospitable. And since the temperature is so ridiculous in this desert town, the people have had to adapt over the last century. Half the town has migrated underground. Homes in Coober Pedy have facades that lead into underground caverns and a network of caves. Below ground, it's a constant 75 degrees all year long, so it really shames the dirty surface dwellers with their silly temperature fluctuations. Plus, if you want to renovate your home, you just dig a new room, or a set of shelves, or a closet. Someone apparently even has a swimming pool down there. Fill that thing with burritos, and we're moving in. Half of the town's hotel is underground, there's a museum down there and a Serbian Orthodox Church as well. Pretty much everything you need except for natural light is below ground in Coober Pedy. And we assume it's also full of venomous rage spiders as well. If you saw the alleged horror movie As Above So Below (and if you did, you likely hated it), you got a decent idea of the utter insanity that is happening below the streets of Paris, France. 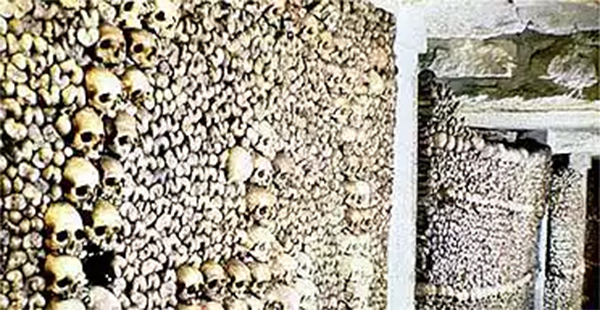 There are catacombs below the city that serve as an extensive tomb lined with skulls, making it look like a rejected Indiana Jones sequel. There are miles upon miles of tunnels below Paris -- over 170 miles, in fact -- dug out during Roman times to provide the stone needed to actually build the city. In those tunnels are the remains of millions of citizens who were moved from cemeteries in the 1700s to make even more room. Hey, it's like grandma always said: "If you want to expand a city a bit, sometimes you have to line your tunnels with 6 million skeletons." Poltergeist was nothing compared to Paris. Police have discovered evidence that there's a lot more than just dead folk down there. Back in 2004 during a training exercise, cops stumbled upon a functioning movie theater with a restaurant. By the time they came back with the power company to figure out where the electricity was coming from, everything was gone except for a note that read, "Do not try to find us." That's not creepy at all. The area was painted with images of Celtic crosses and swastikas, somehow making the décor of a skeleton-filled mystery theater even more awful. And this wasn’t some fly-by-night operation; they literally carved seating out of rock and had a fully stocked bar in the restaurant. The movies were all mainstream films, including some 50s noir flicks and thrillers. Even though that theater had to be shut down, rumor has it there are dozens of other such places under Paris, if you know where to look. This list so far has been about communities with populations that span from a few dozen to the low thousands. So we may as well end it on a bang and head to Beijing where over a million people live in old bunkers and fallout shelters. If the radscorpions and super mutants ever do start making life grim for the rest of us, Beijing is where the world will reset. This is just the beginning level where you learn how to move your character. 10,000 bunkers were constructed in Beijing in the 1960s and 1970s because Chairman Mao was not a dude to hedge his bets over the Cold War. If the world was going to end, China was not. But when the Cold War ended, those bunkers were made available to private landlords, and suddenly your last hope against nuclear devastation was now your first choice in a competitive housing market. Sure they're terrible, cramped and ugly but the price can't be beat in a housing market where 10 square feet of floor space can run over $5000 above ground. No one technically wants to live in a Communist-era fallout shelter, as you can imagine these things aren't offering a lot in terms of comfort and amenities, but if it's the best you can afford it's what you do. 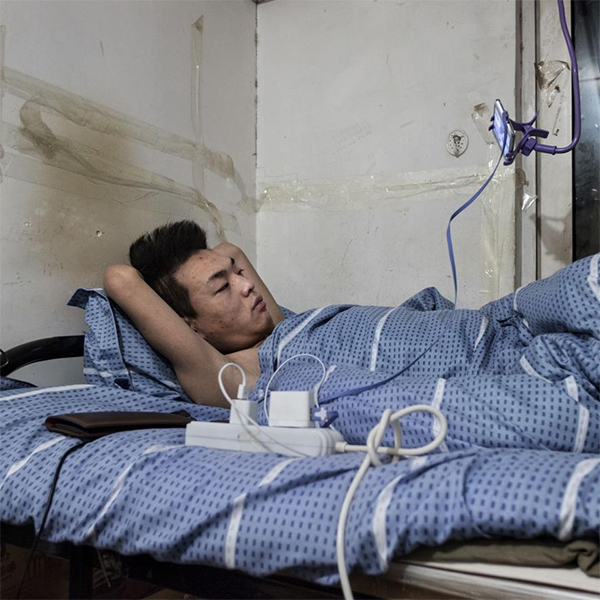 Students and workers from rural areas who come to Beijing often find themselves in these shelters. Many residents are embarrassed to admit they stay there, having told family back home they have good jobs in the city and nice apartments and not subterranean C.H.U.D. resorts. "I'd throw a dinner party, but there's only room for either me or dinner." The shelters have electricity and plumbing, but these things were built in a pinch with the end of the world in mind. The air circulation is poor, and restrooms and kitchens are communal. Imagine living in a college dorm, except underground, forever, and it was built by rushed Communist laborers in an effort to withstand an apocalypse. Nothing here meets regulation, and some rooms are allegedly so small they can barely fit a bed, yet house families of four. But the sheer number of them (and the fact the government is in no rush to ensure standards are being met) means they continue to thrive, because they can set you back as little as $40 to $100 a month. Sometimes it pays to be a mole man. Like this article? Check out "Insanely Creative Buildings That Solved Huge Problems" and "Man-Made Phenomena That Put Nature To Shame".